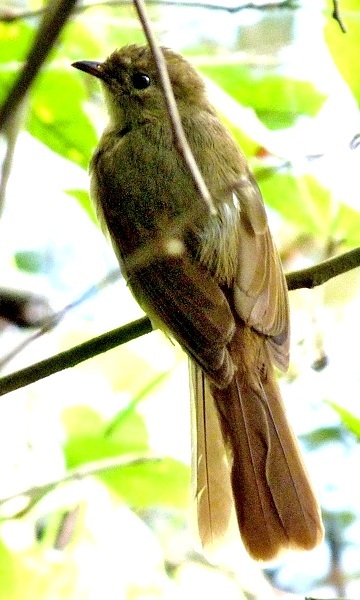 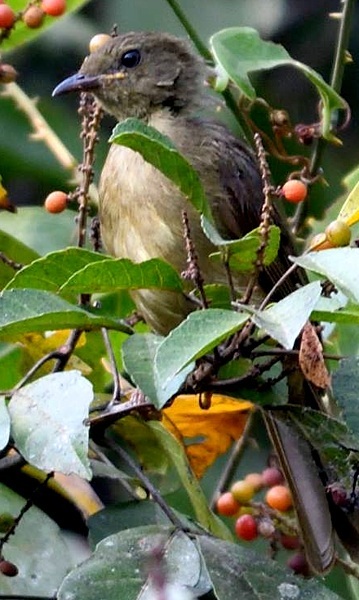 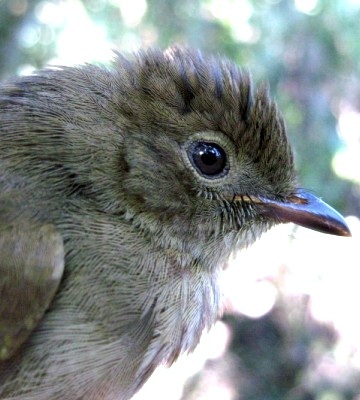 The middle photo of a little greenbul was taken in Minziro Forest (8-06); roll your cursor over it to see a second photo. 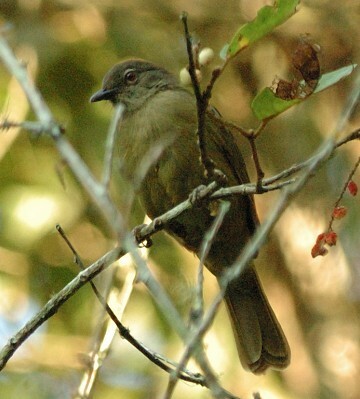 The right lower bird was photographed at Lake Duluti (3-12), courtesy of Colin Beale; the left lower, in the Minziro Forest (7-16), courtesy of Per Holmen. 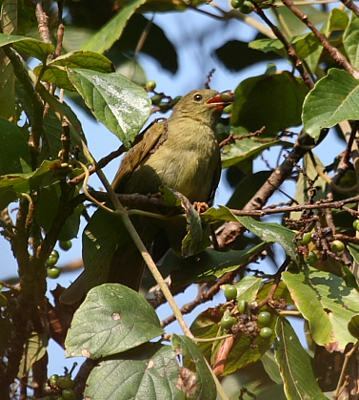 The other photos are courtesy of Dr. Louis A. Hansen who notes: adult, sexes alike, subspecies: possible zombensis, Udzungwa Mts, (6-07). 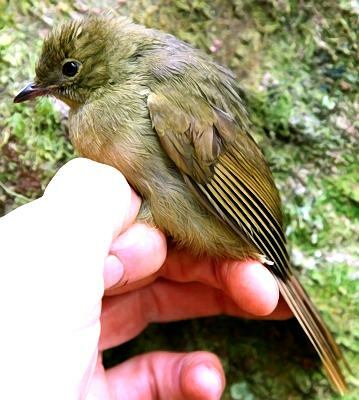 Adults have a soft yellow gape.